Mr. Rients Abma (1971) has been the executive director of Eumedion since the 1st of January 2006. Eumedion is the Dutch Corporate Governance and Sustainability Platform for Institutional Investors. Between 2000 and 2005, Abma worked at the Ministry of Finance as a senior policy advisor in the corporate governance area. In 2003 he was the secretary of the “Tabaksblat” Committee (the Dutch Corporate Governance Committee) and between 2004 and August 1, 2005 secretary of de Monitoring Committee Corporate Governance Code (Frijns Committee). Between February 1996 and February 2000 he worked as the secretary of Economic Affairs at the employers’ federation VNO-NCW. Rients Abma is member of the Dutch Accounting Standards Board and its Nominating Committee, member of the Netherlands Authority for the Financial Markets (AFM) Financial Reporting & Audit Committee and of the AFM Advisory Panel of Representative Organisations, member of the Advisory Board of the Business and Law Research Centre of the Faculty of Law of the Radboud University Nijmegen and member of the Editorial Board of the journal ‘Goed Bestuur’ (‘Good Governance’). Between July 2007 and September 2011, Abma was Board member of the International Corporate Governance Network (ICGN). Currently, he is member of ICGN’s Shareholder Rights Committee, Nominating Committee and Awards Committee. Rients Abma earned his Masters degree in General Economics, with concentrations in Monetary Economics, from the University of Groningen. Before joining MerchantCantos, Richard was a board director at another leading London-based marketing communications agency. He has also been a business journalist including stints on the Mail on Sunday and as editor of Investor Relations magazine. He is author of several publications including the London Stock Exchange’s Practical Guide to Investor Relations. He sat on the ICSA working group on the future of digital communications. He has worked with a wide range of blue chip clients on marketing, advertising and brand identity programmes, including the Abu Dhabi Investment Authority, Anglo American, GE Capital, John Lewis, Lloyds Banking Group, London Stock Exchange, Old Mutual, Puma Energy, and PwC. 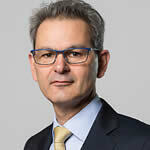 Cédric Lavérie is Head of Corporate Governance at Amundi, a leading European asset manager with €954 billion of assets under management worldwide (as of 30 June 2015). He is responsible for managing a dedicated team in charge of corporate governance issues, including shareholder dialogue and proxy voting. He is a member of the Corporate Governance Committee of the French Asset Management Association and the Shareholder Responsibilities Committee of the ICGN. Prior to this role, he worked as a corporate governance analyst at Credit Agricole Asset Management and AXA Investment Managers and in risk management at Paribas (Suisse) SA. He holds graduate degrees in Banking-Finance from Paris II University, International Economic Law from Paris X University and Politics from New York University. Roeland Haanen (1970) is the Head of Investor Relations at Dutch insurance company Delta Lloyd, a position he holds since 2012. Next to that, Roeland is the Chairman of NEVIR, the Netherlands Association for Investor Relations. In 2014 and 2015 Roeland was nominated as Best IR Professional at the Dutch IR Awards. He joined Delta Lloyd in 2006, after 9 years with EY. Roeland holds an MSc in Business Economics from the University of Amsterdam. He is married and father of 2 children. 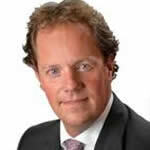 Maarten Hartog (1973) (partner/owner Teslin Capital Management BV) studied civil and business law at Leiden University. He worked for six years as a lawyer in a corporate law practice. In 2003 he started working for Teslin and joined the management in 2007. 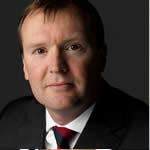 He is also involved in the fund management of the Teslin investment funds. Teslin invests in promising companies. Companies with the ambition to perform better than the market average. With our Midlin, Darlin and Todlin funds, we make sound investments in listed companies in the micro, small and mid cap segment in the Netherlands and the immediate neighbouring countries. And if the companies fail to perform we talk to the Board, showing our involvement and commitment to long-term value creation. At Teslin we believe in small businesses. Businesses that we can understand, under the leadership of real entrepreneurs whit a clear profile. We prefer direct visible investments and we are therefore not involved with companies or investment funds active in banks, biotech or (listed) real estate. 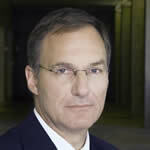 Bruno Heynen is Secretary to the Executive Committee & Senior Advisor Governance of Novartis. He holds a degree in law (lic. 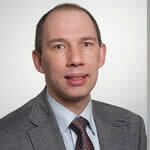 iur HSG) from the University of St. Gallen and is a Swiss attorney-at-law and a notary. He also holds a Master degree (LL.M.) in International Business Law from London School of Economics, London. 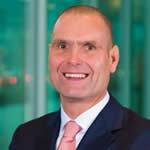 He joined Novartis in 2004 from DHL, where he was General Counsel DHL Air & Ocean. Before the merger of DHL and Danzas Bruno was the General Counsel of Danzas, being responsible for legal services, compliance and risk management. Previous to DHL/Danzas, he spent four years as Corporate Legal Counsel at Roche Holding in Basel, where he advised on corporate law, finance and mergers and acquisitions transactions and international commercial contracts. Prior to Roche, he spent three years with the Swiss law firm Froriep Renggli, working first from its Zürich office and then for two years from its London office. At Froriep Renggli Bruno was involved in various areas of international commercial law. Philip Joos is a Full Professor of Accounting at Tilburg School of Economics and Management and the Tias School for Business & Society since July 2005, and Vice Dean Education at the Tilburg School of Economics and Management since September 2013. His research is related to financial reporting and valuation. As a member of the Tias FinanceLAB, he addresses issues related to CSR reporting. His PhD research at Stanford University focused on earnings prediction and accounting-based equity valuation, with a specific application in the pharmaceutical and biotech industry. He also investigated the role of earnings and R&D quality measures in a real options valuation model. Another research interest is in initial public offerings (IPOs), with a particular focus on the (failure) risk assessment and the pricing of risk. Recently, he has conducted research on the effects of the implementation of IFRS (international financial reporting standards). Philip Joos has published in various international journals such as the Accounting Review, Journal of Accounting Research, Journal of Accounting Auditing & Finance, Journal of Business Finance and Accounting, European Accounting Review, Financial Management, Journal of International Financial Management and Accounting. Nicholas Laugier is a Senior Account Manager at Georgeson, a leading international Proxy Solicitation consultancy. He is responsible for managing Georgeson’s clients’ institutional and retail shareholder engagement projects; with a particular focus on AGMs, EGMs, Schemes of Arrangement and Tender Offers. For the last six years Nicholas has advised both mega and micro- cap Issuers across the EMEA region on approaches to shareholder engagement and corporate governance. He has a background in legal translation and retail banking. 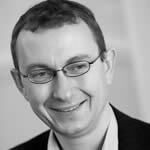 Nicholas holds a Master of Arts degree in Modern and Mediaeval Languages from the University of Cambridge and is a fluent French and Italian speaker. Jennifer Law is a Vice President on the Corporate Governance and Responsible Investment team at BlackRock, based in London. She is responsible for corporate governance analysis for a number of markets within Europe and Africa, including engaging with portfolio companies on the economic impacts of the environmental, social and governance factors of the business. Jennifer is also responsible for engaging with other market participants on corporate governance issues, and contributing to corporate governance policy development. An active participant in BlackRock's responsible investment efforts, she supports the integration of responsible investment considerations into the investment process. Jennifer’s service with the firm dates back to 2007. Prior to joining BlackRock, Jennifer worked at BMO Nesbitt Burns in Canada. Jennifer holds a Master of Science in Diplomacy and International Strategy from the London School of Economics and Political Science. 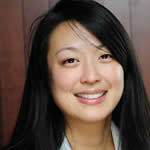 She earned a Bachelor in Business Administration with a specialization in finance from the University of Toronto. Niels Lemmers (1978) studied Corporate and Securities Law as well as (International) Financial Economics at Radboud University in Nijmegen. After having worked at the Dutch Authority for Financial Markets (AFM), he was a research assistant at the Van der Heijden Institute, part of the Research department ‘Business and Law’ of the Radboud University. His publications focus on corporate law, securities law and financial markets, including financial supervision and the position and interests of investor. He now works as director legal and public affairs at the VEB. Within this capacity he is responsible for representing the VEB in legal cases and putting forward the position and interests of the VEB and European Investors in the broad public debate on Corporate Governance, Financial Markets, Regulation and Securities. Niels has also participated as keynote speaker on several conferences and seminars within Europe. Niels is member of the Advisory Panel and Consumer Panel of the AFM and member of the Consultative Working Group for the European Securities Markets Authority (ESMA) Investor Protection & Intermediaries Standing Committee (IPISC). The European Commission has selected him as an expert on Corporate Governance, Company Law and Securities Law. The European Parliament has asked his opinion regularly regarding investor protection rules. Niels is acting Co-Chair of the Shareholders Responsibility Committee of the International Corporate Governance Network (ICGN). Gerbrand Nijman has been appointed Group CFO of Global Telecom Holding on June 17, 2015. In May 2011, Mr. Nijman joined VimpelCom as Group Director & Head of Investor Relations from AEGON, where he served as Senior Vice President and Head of Investor Relations. Prior to AEGON, which he joined in March 2007, he was Equity Sales Director in Telecommunications at ING and served as Head of Investor Relations at Celtel International, a leading mobile operator in Africa. Before Celtel, he was Head of Investor Relations with Royal KPN, having previously been the CFO of KPN Wholesale and KPN International. 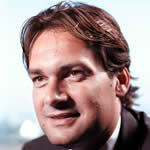 Before joining KPN, Gerbrand was CFO of the VERDER Group and a business controller with Unilever. He has a master in Business Science from the University of Amsterdam and is a Chartered Accountant. 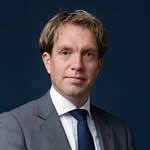 Jaap Mollema is Deputy Head of Investor Relations & Rating Agencies at Rabobank Group. He qualified as a chartered accountant in Amsterdam in 1992 with the NIVRA (Royal Dutch Institute of Chartered Accountants). Jaap joined Rabobank in 1992 and during his longstanding career with Rabobank Jaap has gained considerable experience in many aspects of wholesale and investment banking, including audit, credit risk management, corporate finance, corporate banking and payment services & cash management. Currently Jaap is responsible for developing and managing the relationship with Rabobank’s broad and diversified worldwide base of investors from an Investors Relations’ perspective. In addition to that, he is also responsible for the relationship with credit rating agencies to optimize Rabobank’s issuer-, short- and long term ratings. 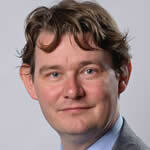 Ernst van de Weert is the Company Secretary of Heineken N.V. He supports both the Executive Board and the Supervisory Board, and is responsible for corporate governance and related issues. In this role, he I responsible for engaging with proxy advisors and institutional investors on matters of corporate governance. He holds a degree in law from the University of Utrecht. 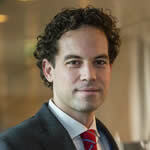 He is also Chairman of the Corporate Law Committee at VNO-NCW (the Confederation of Dutch Industry and Employers). 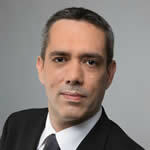 Ernst started at Heineken in 2009 as Regional Legal Counsel Asia Pacific. Prior to that, he was a lawyer at the Dutch law firm De Brauw for nine years, where he advised on corporate law, mergers and acquisitions and corporate disputes. 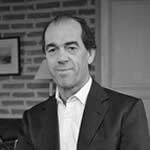 James Palmer is Co-founder and Managing Partner of H2D Conseil based in Paris and Regional Director of CMi2i for France, Belgium, Luxembourg and Switzerland. He has over 20 years of experience in investor relations, financial management, and strategic development in major multinational industrial corporations. James has been Investor Relations Officer for three major French industrial corporations (PSA Peugeot Citroën, Rhodia/Solvay and Lafarge). He recently led major change management and reorganization initiatives at Peugeot Citroën UK. James was also Financial Director and Company Secretary of Kvaerner Clecim, the French subsidiary of Kvaerner, the Anglo-Norwegian engineering and construction group. He also worked in internal audit (Trafalgar House PLC), corporate development (Kvaerner Middle East & Iran) and group control (Lafarge). 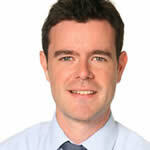 James is a member of the French Investor Relations association CLIFF. He holds a BA Hons degree in Business Studies from the City of London Polytechnic. 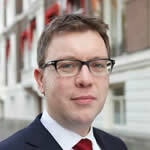 Wouter joined Ziggo in 2010 with responsibility for Treasury and Investor Relations. In this role he was responsible for Ziggo’s IPO in 2012 as well as a number of debt issuances (both notes and loans). He was also closely involved in the sale of the company to Liberty Global in 2014. Prior to Ziggo, he was head of investor relations at Versatel Telecom and Director at financial communications consultancy Citigate First Financial where he advised a wide range of multinational companies on their quarterly earnings and on their financial communications during IPOs, M&A and shareholder activism situations. Wouter started his career in 1997 with Philips where he worked in various financial management roles in the Netherlands and abroad, as well as in the investor relations and treasury departments. 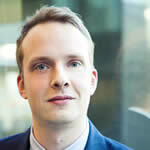 Wouter holds a Master in Finance and Monetary Economics from the Erasmus University Rotterdam. expertise knowledge on topics such as shareholder rights, corporate board oversight, nomination processes, executive remuneration and bribery and corruption. Having voted on shareholder meetings over more than two years, he has broad experience regarding the proxy voting infrastructure. He is member of UN PRI=B4s vote confirmation project group and has done a fair amount of research and audits in the effectiveness of the proxy voting chain. Michiel graduated from the University of Amsterdam in 2008 with a master’s degree in Sociology and a minor in Economics. Caroline Vogelzang, Director Investor Relations and Corporate Communications Kardan NV, started her career in banking at ABNAMRO. In 1993 she became responsible for Investor Relations at Wolters Kluwer where in 1996 Corporate Communications was added to her tasks. She has been in management and P&L responsible positions in the publishing / information sector since and also was partner in an executive search firm for a couple of years. She then came to the conclusion that Investor Relations / Corporate Communications is the profession that ‘ really makes her tick’ and consequently moved back to this great specialism to take on the position at Kardan. 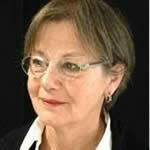 She has been a member of the Board of Nevir until just recently.